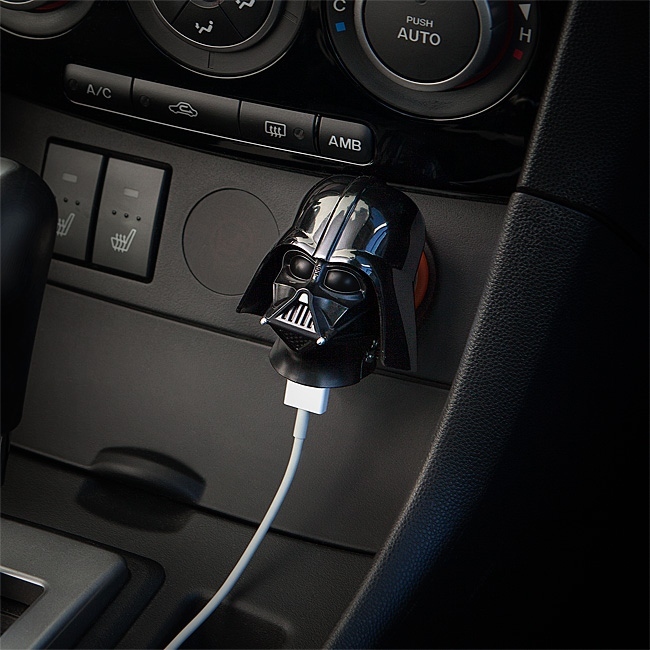 Let the Dark Side help you charge your gadgets with these cool Darth Vader and Stormtrooper USB car chargers. They plug right into your 12V vehicle power socket, aka your cigarette lighter, allowing you to keep your devices charged while you’re on the road. They even have a flexible arm that pivots up and down so you can customize it for the best fit for your vehicle’s power socket. You can get either Darth Vader or a Stormtrooper. 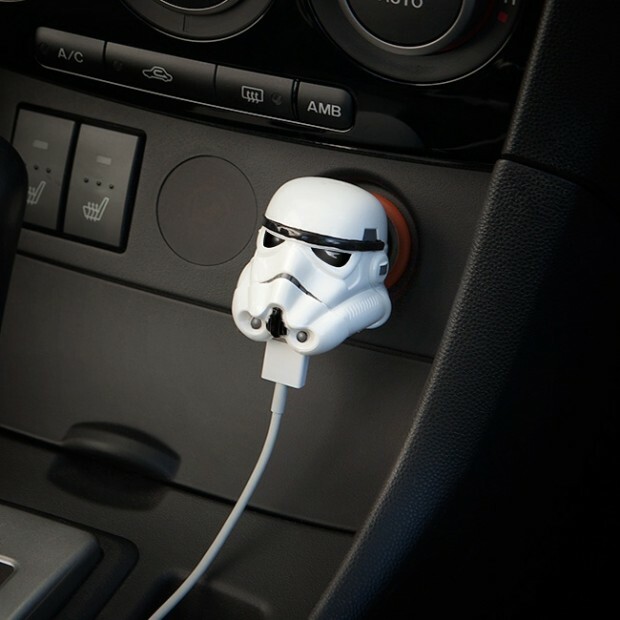 Each is only $19.99(USD) from ThinkGeek, and is perfect for your Imperial-themed car.